With all the turmoil in the world, it’s hard to imagine people learning to forgive, but a professor at Virginia Commonwealth University has come up with a method that works, and he’s just won a million dollar grant to take his method abroad. Sandy Hasuman has the story. At 67, Everett Worthington has spent more than 30 years studying forgiveness. The VCU psychologist has written a dozen books on the subject, lectured widely, and practiced what he preached. Worthington knew it was unhealthy to feel anger toward the killer. But he found it difficult to surrender his hate. 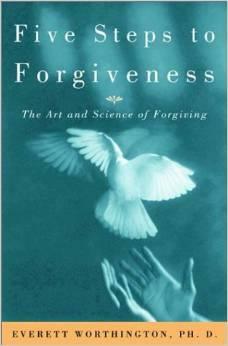 So he turned to a method he’d developed called REACH Forgiveness to confront what happened that tragic New Year’s eve. The killer used a crow bar to beat Worthington’s mother. It was a horrifying thought, but the professor replaced the emotions he felt with a kind of compassion for the young killer. Numerous studies show the approach works, and it’s been used around the world in many different situations. Now, Worthington will use a one million dollar grant to train researchers in South and West Africa . They, in turn, will teach REACH Forgiveness to victims of crime, war and genocide. Worthington is a realist. He knows his program won’t save the world, but he hopes it will help some people to live, healthier, happier lives. R is for Recall. Recall the events and the hurt as accurately and objectively as you can. E is for Empathize. Try to understand what happened from the point of view of the person who wronged you. A is for the Altruistic gift of forgiveness. Recall a time that you hurt someone else and were forgiven. And offer this gift to the person who wronged you. C is for Committing yourself to forgive publicly. Write a letter of forgiveness (whether you send it or not), write in a journal, tell a trusted friend, or, if you can, tell the person who wronged you. H is for Holding onto forgiveness. Forgiving is not forgetting. Memories of the wrong and feelings will come up. Remind yourself that you have made a choice to forgive. 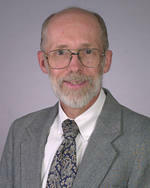 For more information about Dr. Everett Worthington, click here.